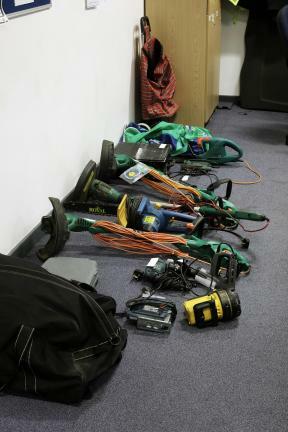 A POLICE force is looking for the rightful owners of a selection of power tools and gardening equipment that have been recovered from a house in Middlesbrough. Cleveland Police arrested a man on suspicion of handling stolen goods when they raided a house last week. A spokeswoman said: “The goods were recovered from a house in Easterside, Middlesbrough last Friday, February 7. “A 33-year-old man was arrested on suspicion of handling stolen goods and has been interviewed and bailed pending further enquiries. Anyone who recognises any of the equipment is asked to call Cleveland Police on the non-emergency number 101.